Today's guest blogger, Catherine, found gifts off the beaten path at The Holiday Shops at Bryant Park. Dynomighty and I go way back to my first winter with BPC in 2008. 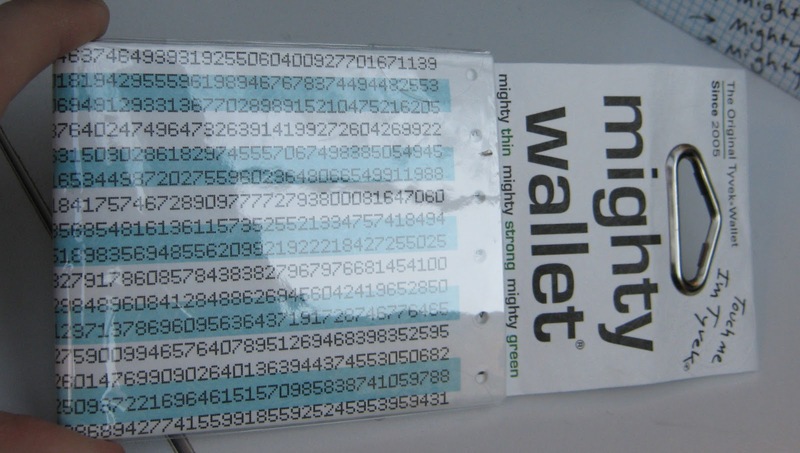 That's when I was introduced to the Mighty Wallet. These creations are made of Tyvek. I'm sure the shop owners could give you a better idea of what this actually is...all I know is that it’s some magical mix of durability and flexibility. They're very lightweight. I've also discovered that it’s pretty difficult to damage them, since they stretch to handle whatever you’re carrying around. Designs range from the NYC Subway Map to a shot of my favorite all-too-functional TV family, the Brady Bunch. The dot-matrix printout design is sure to create a smile for the technophile in your life. 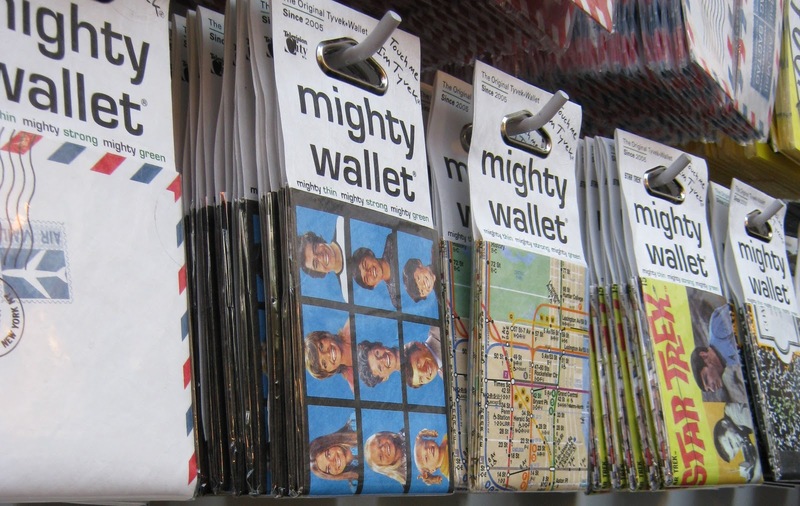 Other treats in the Dynomighty shop include cute, durable luggage tags and big totes that holds up to 25 lbs. If you have entered the park through the 6th Avenue entrance this winter, you’ve likely seen the bright display of magicians, monsters and mermaids at Silly Puppets. 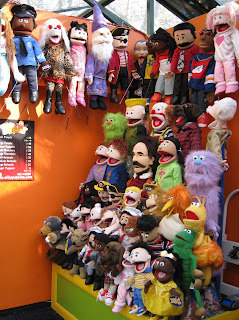 Take a closer look next time, because these puppets come in multiple sizes. The large ones are the type you may have seen on TV, where you use one hand to hold the puppet and another to hold a rod that usually moves the puppet’s arm or hand. If you’re a little hesitant about the size or are buying a gift for a little one, the medium-sized puppets are great. These are controlled with just one hand, which can be easier for young kids to handle. I’m a big fan of this slightly cross-eyed cat. If you’re looking for stocking stuffers, they also have some cute finger puppets! I'm so getting a Silly Puppet for Baby Herald this year! Choosing which is a problem, I'm going to have to let her decide. 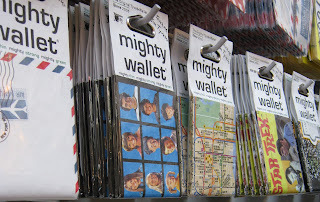 And my niece and brother in law still rave about their Dynomighty wallets I got back in 2008, their first year. Those Dynomighty wallets are certainly built to last. Here's an idea - bring Baby Herald to the park to pick out a Silly Puppet, then go for a ride on Le Carrousel and get some photo ops by the tree! She does have that frequent rider card, and we do need a holiday card cover....I like how you think, Katie!